The discourse employed in China to control the narrative on domestic and global issues has long attracted special attention. Confucian tradition placed fundamental importance on the “rectification of names.” Marxist ideology was obsessed with the language used in the “upbringing” of the masses to prevent what was disparaged as “false consciousness.” Mao Zedong carried the obsession much further in regulating language with the aim of “thought reform” until the people were left with little more than the “Little Red Book” to parrot as the only acceptable rhetoric. Specifying what approved speech is comes in the form of “tifa” or set expressions. Rejecting speech of a potentially disruptive nature comes through directives such as the “seven nos” in Chinese Communist Party Document No. 9, leaked during Xi Jinping’s first year as party secretary. As we consider various themes in international relations, the lens of the discourse chosen for expressing them deserves our attentive consideration. It is a major factor in shaping the national identity. As we look back to the past several years of obsessive attention to cultural security, we find reinvigorated approaches to the art of discourse management. The articles in this Special Forum consider three examples. With the broadest coverage, Wang Yizhou looks at the overall foreign policy strategy of the new Chinese leadership under Xi Jinping. He focuses on such themes as the “China Dream,” a “new type of great power relations,” a “maritime power,” and “two Silk Roads.” His wide sweep across the horizon of Chinese international relations narratives sets the foundation for what follows. Amy King starts with the centerpiece in current international relations discourse, a “new type of great power relations,” and considers how Japan fares in the literature citing it. While others, including Ren Xiao in an earlier article in the Open Forum of The Asan Forum, have examined how this concept is applied to Sino-US relations, supposedly to positive effect, King breaks new ground in analysis demonstrating that in the case of Japan it is relevant as well, but with a decidedly negative purpose. Maria Repnikova approaches discourse through an examination of domestic factors in international relations. She ranges broadly without a specific geographical focus, as she stresses thinking on the role of public opinion. The three articles are not just concerned with Chinese foreign policy; they are attentive to the language employed to frame policy choices, narrowing some gaps while widening others. Rhetoric has more than a rationalizing purpose. For China it defines right and wrong, limiting the choices ahead and clarifying linkages with the approved Chinese national identity. With emphasis on the “China Dream” Xi Jinping has led the way in articulating the conceptual framework for discussing international relations. There are multiple levels of discourse in China, but they are less disconnected than in most countries we cover in this journal. Official discourse is naturally carefully reviewed to be consistent with decisions made by the top leadership. On the one hand, this permeates down to other levels of discourse, guided by the watchful eye of the Central Propaganda Department. On the other, there exists recognized duality to what is approved discourse, which since the Deng reform era began has left room for a more hostile view of the outside world to be propagated parallel to the official rhetoric that is openly and widely distributed. At times, this parallel universe stayed, more or less, concealed in neibu (internal circulation) publications. For instance, in the late 1980s-early 1990s, when official commentary on Sino-Japanese relations was mostly optimistic, leading to the Emperor’s visit to China, the internal articles warning that Japan had no moral right to become a political great power, let alone a military one, were not deemed appropriate for foreign readers. Later, the dividing line between gongkai (public or open) and neibu publications was less pronounced, but the dichotomy remains between official announcements or publications that accentuate them and publications directed mainly at mobilizing domestic opinion. The same discourse can be found at both levels, but the way it is interpreted can differ markedly—often because the message is toned down for outside consumption or to facilitate management of particular bilateral relations. Beyond official, public, and internal discourse as distinct categories, one can make distinctions involving commercialized, sensational discourse, Internet discourse, and academic discourse in English or another foreign language. Chinese observers at times suggest that they differ in one respect or another. The intense appeals to national identity in many Huanqiu ribao (Global Times) articles and on the Internet may be minimized as not reflecting official thinking, although articles or postings with actual criticisms of such thinking or direct reflections of views prevalent in the academic community outside China do not make it past the censorship. In contrast, articles written in English for foreign academic publications may cast China in a less nationalist light, serving a different purpose. These presumably unrepresentative sources may, indeed, carry discourse beyond the mainstream, but they offer further evidence of the duality noted above: the official rhetoric aimed at calming concerns about “China’s rise” is usually furthered by English-language academic writings, and the internal invocation of national identity themes to widen the gap with “significant others” such as the United States, reverberates in the sensational press and over the Internet. These days there is plenty of evidence in the mainstream newspapers and journals to demonstrate the overlap in discourse without delving into this duality, but the existence of some overlap does not mean that the duality is not pronounced despite fewer bars to unrestrained assertiveness. One line of discourse is to label disagreeable thinking as anti-Chinese, a relic of anti-communism, Cold War thinking, part of a containment strategy, a form of cultural imperialism, or a means of hegemonism. What these derogatory labels express is the idea that the views associated with them are soiled by the motivation behind them. One need not look closely at the arguments being raised because they are intended for a nefarious purpose. This kind of dichotomous thinking—attributing an ideology to the other side and countering with an ideological attack that leaves no room for seeking common ground—is a longstanding tactic of communists and others intent on shutting off efforts to narrow a bilateral national identity gap or seek a common understanding. This approach is less common in official statements than in the other side of discourse duality, appearing widely in writings on international relations. In 2009, intensification of national identity discourse became conspicuous, leaving a trail that was little diminished to 2013 when a new spike in intensity was detected under Xi Jinping’s leadership. At the two extremes in discourse duality are the “new type of great power relations” as a slogan aimed at luring the United States into improved relations, presumably on Chinese terms, and “Japanese militarism,” a label directed at demonizing Japan as a target of deteriorating relations, as if there is nothing China can do about this. Given Obama’s repeated efforts to narrow differences with China—recently at the June 2013 Sunnylands summit, in National Security Advisor Susan Rice’s November 20 speech, in the December visit of Vice President Joe Biden to Beijing, and in the visit of Michelle Obama and family members to China at the time of this posting in March 2014—Xi Jinping has found it advantageous to keep dangling the bait of improved relations before the United States. At the same time, given the incendiary image of Abe Shinzo, the historical revisionist eager to step beyond the bounds of all previous postwar Japanese prime ministers, Xi’s determination to capitalize on the territorial dispute over the Diaoyu/Senkaku Islands provides an ideal opportunity to demonize Japan. This contrasting approach to win-win relations with Washington and zero-sum ties to Japan feeds China’s dualistic predilections, which can be better understood by examining more closely how less official writings on the United States often group it with Japan and cast grave doubt on whether Obama’s much denigrated “rebalance” is anything more than containment born of a “Cold War mentality” and “anti-communist” ideology. The spotlight put on cultural security in the past two years magnifies the obsession with what is seen as threatening discourse about “universal values,” whether human rights, democracy, humanism, or historical analysis that treats civilizational issues in a non-orthodox manner. The concept of convergence is anathema. 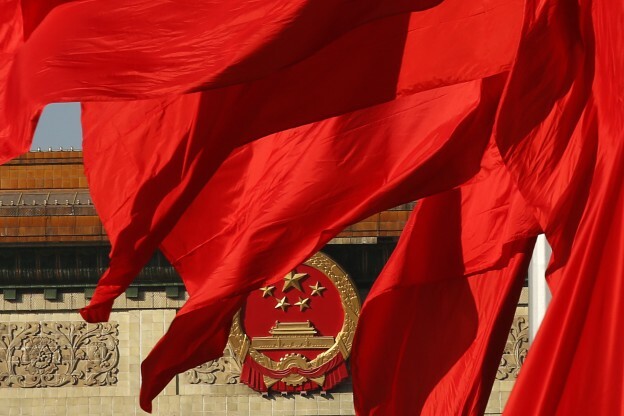 Some overlap in national interests can be acknowledged, but a narrowing of national identity gaps is presumably feared as a threat to the legitimacy of the Chinese Communist Party. Insisting that “core interests” are not negotiable, Chinese leaders narrow the range of discussion about competing national interests. As for “core values,” they refuse to open the door even a crack to consider how shared values could be found through dialogue or joint histories, tried with Japan, rather than an irreconcilable divide between two civilizations. Wang Yizhou begins his article with the high aspirations of the “China Dream.” This is a slogan left so vague that some observers equate it with the “American Dream,” as an inspiration for individual self-improvement and national responsibility at the top of the global hierarchy, while others accuse it of being rooted in resentments of a “century of humiliation” and centered on sinocentric rejuvenation at the expense of countries blamed for the past. Wang gives us no reason to consider it anything other than a statement of national identity blending, as found in writings on the ideological dimension of China’s national identity, socialism, Confucianism focused on sinocentrism, and anti-imperialism. Together, they stand for an order in direct opposition to the US-led world order and, emphatically, to the regional order that is represented by US “rebalancing” to Asia, US-led alliances, and US endorsement of a shared civilization encompassing most countries along China’s maritime borders. The “China Dream” did not change the tone of writings on such themes, but it raised assertions of self-confidence with some added slogans. Wang follows with coverage of China’s new theme of becoming a “strong maritime power,” tilting toward national interests rather than national identity, although much of the justification has been that this will safeguard sovereignty, currently compromised by territorial encroachments. Clearly this is an example of what Wang calls the switch from “biding one’s time” (taoguang yanghui) to a new emphasis on “acting with dispatch” (jiji zuowei). This discourse is widely understood to serve as a guide to China’s foreign policy choices, spawning themes to reflect the overarching principle. Under leadership less divided and more focused on a coherent message, China is no longer hesitant to assert its strength with new vocabulary evocative of an uninhibited force for change. The principal theme in Wang’s coverage is a “new type of power relations,” which many call great power relations, while others prefer to translate daguo guanxi as major power relations. Our journal has been covering this concept rather closely, and the assessment of it by Wang corresponds to what others have been arguing. What is left unsaid is that the main application is to the Sino-US relations with the intention of persuading the United States to yield to China’s emergence as a contender for the world’s No. 1 power with “pragmatism” and compromise, not strong resistance. In line with the official discourse on a “new type of great power relations,” Wang writes of China taking more international responsibility and providing more pragmatic leadership. Yet, he also observes a similarity in the leadership styles of Xi and Vladimir Putin, recognizing that both are accustomed to the importance of ideology. This suggests something quite different from pragmatism as well as the role of discourse serving purposes that ideology long served in an earlier era. In raising the theme of “peripheral diplomacy,” Wang mainly discusses interests that countries share with China, but he also mentions the “destiny of an interdependent community,” which he links to the “China Dream.” Then, he refers to the “two silk roads,” one inland and the other maritime, as other types of international entities without indicating if China has in mind some type of silk-road community. Although we do not have a chapter on discourse about regionalism, discussing concepts such as periphery, neighborhood, community, and silk roads reflects a constellation of discourse on the regional order that China is seeking to establish, clearly at odds with the US-led region. For Wang, changes in Chinese discourse stem first of all from rising self-confidence. We read of higher expectations than in other emerging countries and the return of a nation with thousands of years of a powerful civilization, where ambitions outpace material strengths. With a chance to reassert its pride, China may, Wang suggests, succumb to pressure from intense nationalistic emotions. Moreover, he appears uncertain how strategic suspicions of the United States will interact with strategic interdependence. All of this can be put in the context of discourse, notably in defining China’s position in the world, which Wang lists as the final challenge, given differences in ideology and value systems and lack of experience on China’s side. The article ends uncertainly with mention of unprecedented challenges ahead. Current discourse is not reassuring even if the “new type of great power relations” seemed intended to put a positive gloss on issues. The international environment changed markedly earlier this month with the crisis over Crimea and Ukraine. Russia appealed to China for support, framing the issue as US ambitions for world dominance reflected in another “color revolution” versus the shared identity of Russia and China in support of non-interference in the internal affairs of other countries (after all, Ukraine is really little different from Taiwan, as a temporarily lost appendage of a larger country that went through hard times.) On the one hand, China could decide that US (or Western) intervention in Ukrainian affairs as well as Obama’s planned visits to Japan, South Korea, the Philippines, and Malaysia with reassuring words about US support, is not compatible with this slogan. If that is the case, the positive atmosphere that China has associated with joint pursuit of this new type of relationship may be viewed as broken. On the other, China may distance itself from Moscow’s stance, seeing Crimea as a precedent for violating the sovereignty of another state that could be applied to Taiwan. In that case, China may not want to sacrifice its way of framing US relations. The deciding issue may not be Crimean self-determination and incorporation into Russia, but economic sanctions imposed on Russia and pressure from the West. In that respect, this could be parallel to the case of North Korea, where China opposes the North’s behavior but emphasizes in analyses of the situation negative policies toward it. While Ukraine is viewed as a litmus test, reasoning about Japan may have a larger role in determining China’s decisions on how to manage great power relations. For many, this is a question of historical memory, but the discourse about Japan points to a far wider lens through which Chinese view it. If Wang Yizhou stresses the way the concept of a “new type of great power relations” applies to the United States—the main target of this label—the following article considers its applicability to Japan, a by-product of this narrative. Amy King takes a more specific look at the concept of a “new type of great power relations,” compared to Wang Yizhou. She points out that another standard slogan in Chinese discourse on international relations, “respecting core interests,” may trump this concept, and, in the case of Chinese relations with Japan, may jeopardize ties to the United States as well. She notes that for many Chinese analysts and officials, US support of Japan’s position on the territorial dispute with China means disrespect for China’s “core interests” and, therefore, behavior associated with the old type of zero-sum great power relations. If the crux of a new type of relationship is to respect another power’s “core interests,” including sovereignty and territorial integrity, how could the United States qualify as a partner, given its attitude toward Taiwan, the Dali Lama, and, with respect to its alliances, Japan’s administration of the islands? Lurking behind one label, seemingly optimistic about foreign relations is another with a disturbing undertone. A second theme raised by King is measuring China’s rise by reference to Japan. This notion that Japan since 1945 is a failure because it never overcame its imperialist legacy in contrast to China’s praiseworthy history over the same period flies directly in the face of longstanding American thinking of Japan as an ideal ally—both peace-loving and democratic—and China as a country that succumbed to the worst excesses of communist totalitarianism and has been struggling to overcome them. No amount of discourse about Japan’s recidivist nature and China’s peace-loving traditions is able to overturn these hardened views. The idea that US views involving Japan are a litmus test suggests that a primary objective of China’s slogan for US relations is to split the alliance. Juxtaposing discourse about Sino-US future-oriented relations with that about Sino-Japanese past relations reveals oft-overlooked connections. The Wang and King articles together are indicative of the contradictory combination of views of the United States and Japan. One more theme in King’s analysis is Chinese discourse on the postwar international order, as if China is its defender and Japan is threatening it. This shows how Japan is an integral part of a wide-ranging narrative on history, civilizations, international relations, and other building blocs of a comprehensive worldview. While in official statements China presents itself as the defender of the postwar order and even a force for a stable international order, twisted Chinese interpretations of Japan’s place in that order and role in international relations cast a dark shadow on other discourse. There is an echo of these far-reaching themes in many negative writings on the United States and the civilization for which it stands, but they somehow are left on the sidelines through dualistic slogans. Maria Repnikova focuses on Chinese discourse about the role of public opinion in shaping foreign policy. This discussion delves into different origins of nationalism in public opinion and different views of its impact on international relations. According to Repnikova, in Chinese discourse we are able to learn about new mechanisms employed by the party-state for influencing and shaping public opinion, as well as to grasp the new dimensions of bottom-up forces and their role in framing how China is behaving on the international stage. Analysis, she explains, reveals the increasing attention paid to the influence of domestic public opinion on foreign policymaking by Chinese experts and officials, which studies variously attribute to a changing media environment, China’s stronger involvement in the international arena, and the prevailing sensitive memories of national humiliation by foreign powers. Thus, she focuses on the mechanisms more than the content of guiding the public’s thinking about international relations. Chinese writings, both academic and official, frequently evoke the term yulun yindao, in referring to management of nationalistic public opinion, which is translated as “leading” or “channelling public opinion,” Repnikova notes, involving both public relations campaigns in the form of press conferences and official interactions with netizens, as well as censorship directives via the Central Propaganda Department, which can range from complete blocking of a certain subject to providing detailed instructions on how it should be covered, to deleting or adjusting content online after it has been posted. She notes how the “China Dream” slogan carries nationalistic elements, and she points to the term “suzhi” (quality) as referring to public opinion that improves through guidance. These are used by officials to boost patriotic rhetoric. Also noteworthy is the “50-cent army” of government-paid commentators to infiltrate and promote a pro-party line to induce more nationalistic sentiments on foreign issues. Censorship and surveillance in all its forms, although absent in Chinese debates, are an important factor in yulun yingdao policy on foreign matters, facilitating popular nationalism. Repnikova concludes that the policy of yulun yingdao, an innovation of the Hu-Wen administration, remains prevalent under Xi, as authorities are fortifying their efforts to engage and co-opt the public, while simultaneously actively censoring the media and public discussions on foreign policy. Following the Special Forum on national identity in the previous issue of this journal, the new articles narrow the focus to particular types of discourse, the building blocks of identity formation. China is a leader in guiding discourse through official slogans and state directives and censorship. We present some examples of how guidance takes place in this issue and plan to pursue this theme in the coming issues of the journal.